HOW MANY PEOPLE VISIT YOUR WEBSITE IN A DAY? HOW MANY OF YOUR VISITORS ARE TURNING INTO REAL CUSTOMERS? 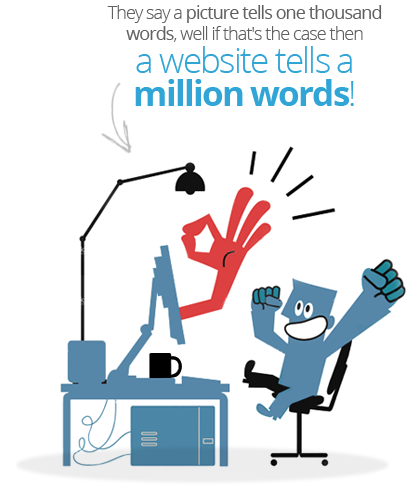 IF YOU THINK YOUR VISITORS STATS ARE NOT SO APPEALING, ITS TIME TO TAKE A SERIOUS ACTION OF YOUR WEB DESIGN. Proper maintenance of a website is a significant form of web development procedure so that it (website) can function well. For those who are into online Today, a website has become a powerful marketing tool designed to target primary audiences and boost a company revenue. This effective marketing instrument has been instrumental in benefiting millions of businesses to date. An interactive and elegantly made professional web design never fails to impress and lure people. Again, a professional designed website reflects a commitment to what your brand promises. An online business success depends on a number of choices and the choice of a website design company is one of them. 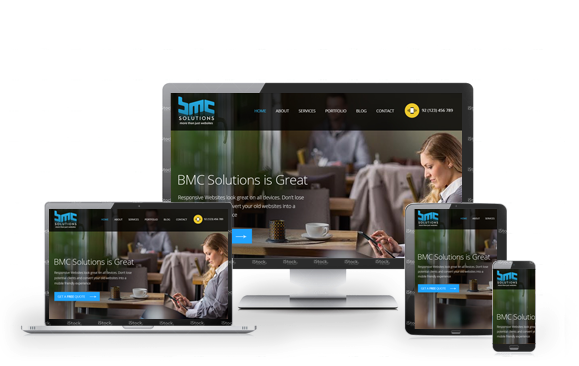 BMC Solutions is a leading web design company in Perth, specialising in providing a vast number of innovative web design services to cater the marketing, advertising, communication and promotion needs. Our creative team of Perth web designers have the expertise and experiences to create attractive web designs that highlight a business unique features and tailored to suit your needs.We, at BMC Solutions always have our sights set on your business objectives and we employ a highly innovative and advanced strategy, design, and technology to produce an aesthetically pleasing web design that yields only great results. We do more than just build a website; we create a careful crafted web presence that will interact directly with your web audiences.An attractive and professional web design is a perfect blend of high-end technology and creativity. Our Perth website designers & e-commerce website designers combine both to ensure your website has all the facilities and qualities to beat your competitors. Our forte lies in Content Management System (CMS). Our very own Content Management System comes standard with any website package purchased and is super easy to use and navigate. We also have a wealth of experience in other well-known Content Management Systems such as Joomla, WordPress, Drupal, Oscommerce, Cre-Loaded, Magneto, & Cube Cart to name a few.